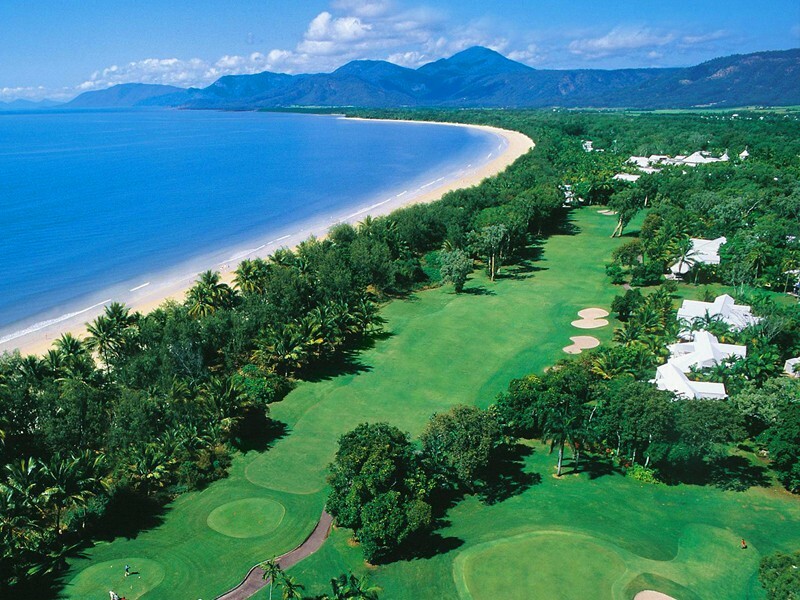 Port Douglas in Tropical North Queensland is a beautiful part of the world nestled an hour north of Cairns. This secluded gem remains a somewhat unknown part of Queensland; however amongst those who call it home, or have visited there is a fierce loyalty and appreciation of this region, inspiring holidays that never take place only once. This seaside town boasts an incredibly unique location with pristine white sand beaches that meet two World Heritage Listed sites – the Great Barrier Reef and the Daintree Rainforest. 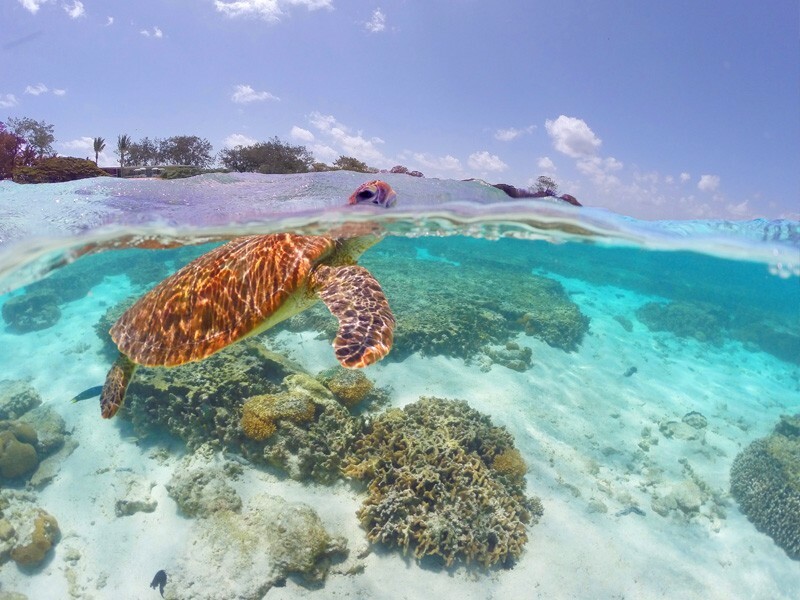 Diving with tropical fish among vibrant reefs, wandering through ancient rainforests, and lapping up sun kissed beaches are all part of the Port Douglas experience. The region is also famous for its dining, for a relatively sleepy seaside town, there is an impressive foodie scene! Trip Advisor is a great tool to help you narrow your list, but if you’re a ‘let’s see what we find’ type of person, then you should start your journey on Macrossan Street in the heart of town. This is the main street and hub of boutique shopping, art, activity and dining. 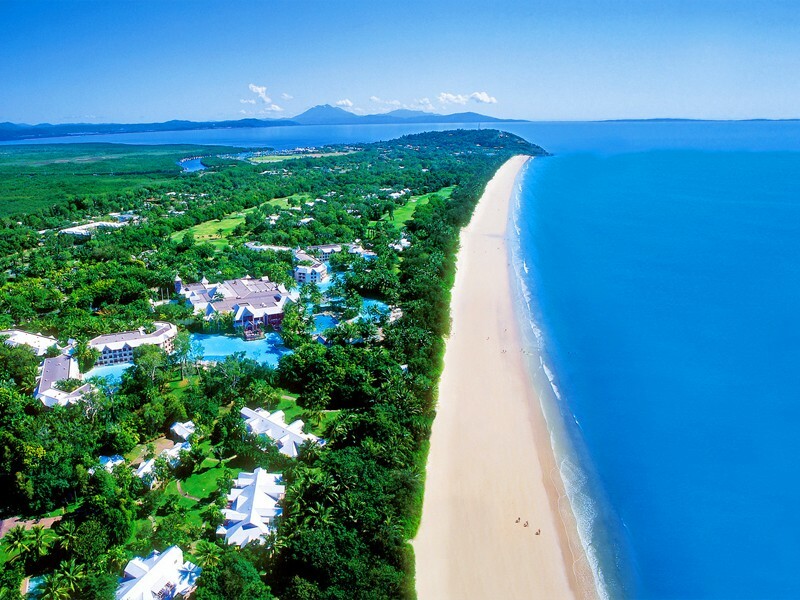 For those looking for a truly special place to enjoy an escape to Tropical North Queensland, it is difficult to surpass the Sheraton Grand Mirage Port Douglas. 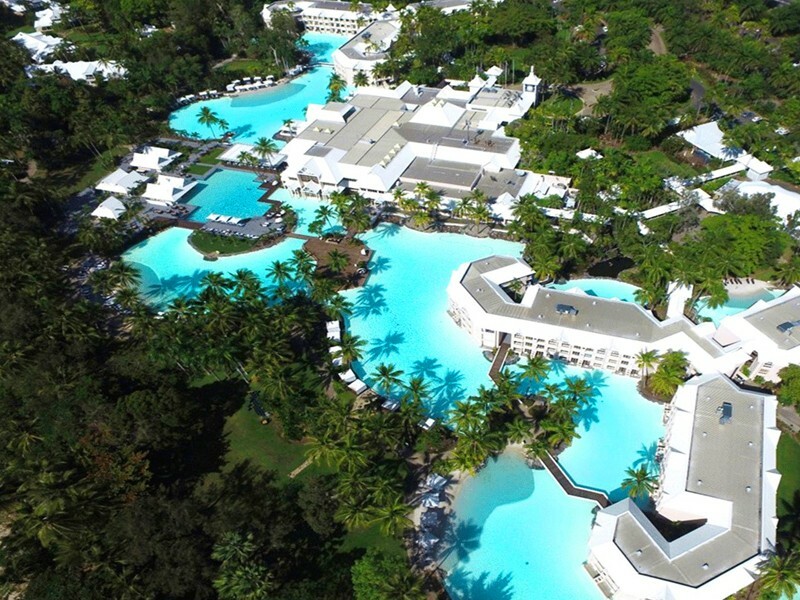 This recently refurbished resort sets the standard for lavish, elegant and downright magnificent holidays with an absolute beachfront location, 5 acres of tropical lagoons surrounded by 147 acres of luscious rainforest, an 18-hole championship golf course, as well as swim up bar and 2 restaurants, you will want for nothing staying in this oasis. Being a 5 star resort means the Sheraton Grand Mirage is quite popular, so if an amazing experience is what you are after, this resort will deliver – and is worth every penny! With such a high demand sales and discounts are rare, so if you find a good deal – snap it up! 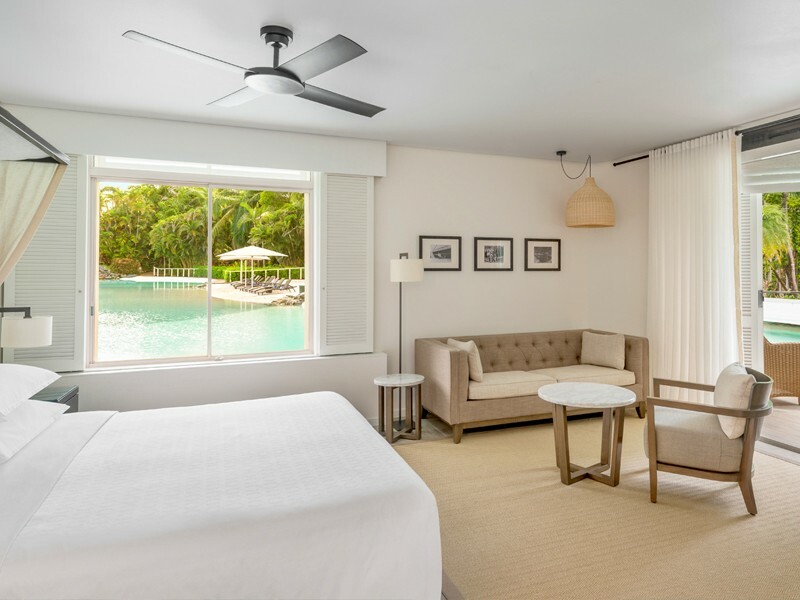 This Port Douglas accommodation ranges from rooms and suites to 2, 3 and 4 bedroom villas to suit all families, couples, and groups of friends. Each room is breathtaking with beautiful designer finishings and spacious abodes to ensure your comfort (and also to impress!) You can expect air conditioning, TV and entertainment packages, WiFi access, minibar, tea and coffee making facilities and a private balcony with views. Once you’ve left your room you will likely find one of the several lagoon pools. Exploring these could take you several days as a stand-alone activity as there are over 5 acres of salt water lagoons, fresh water swimming pool, children’s pool, 25 metre lap pool and spa and sauna! We particularly love the layout of these swimming holes as there are plenty of spaces to enjoy your own slice of paradise. Of course, the resort fronts the famed Four Mile Beach so you also have the option of wandering down to the beach for an array of beachside activities or simply a romantic stroll. You will have to be mindful of stinger season. As well as several swimming options there is a gym for the fitness lovers as well as 7 flood lit tennis courts, so you should be able to squeeze a game in at any time of the day! The 18-hole championship golf course is another crowd pleaser with many an hour happily spent on this green oasis. Dining is in no short supply at the Sheraton Grand Mirage with 3 excellent options. Feast restaurant is a flavourful explosion of taste from Australian to International cuisine in a delicious buffet. Harrisons Restaurant caters to romantic dinners, lazy lunches and quick snacks with poolside dining on the terrace or meals in the main air-conditioned dining room beneath enormous antique chandeliers. Finally your third option is lagoons bar, swim up to order an exotic cocktail, refreshing beer, or light lunch to enjoy on your sun lounge or in your cabana soaking up the tropical sunshine. While you could easily spend an entire holiday without leaving the Sheraton Grand Mirage, you are in one of the most spectacular locations in the world and the desire to explore your surroundings may win out. The resort offer a free scheduled shuttle to Macrossan Street in the centre of town, as well as a tours desk to assist you in exploring the area. The seaside town boasts a picturesque coastline with powder blue water lapping white sand beach known as Four Mile Beach - famous in the region, and for good reason. It’s stunning. It also stretches the entire length of town right past the resort. Beyond the beach, underneath the gorgeous water, you will find one of the great wonders of the world – the Great Barrier Reef! The reef stretches from Bundaberg up to the northern tip of Queensland over 2300 kilometres with a route right outside Port Douglas! And luckily for those visiting, it’s very much within reach. There are several companies that provide snorkelling, scuba diving, and glass bottom boat tours across the reef and this is a must! As well pristine beaches and the world’s largest reef, Port Douglas is home to a third natural wonder – the Daintree Rainforest. A land as old as time, this rainforest hides many secrets including flora and fauna, waterfalls, and hundreds of kilometres of walking tracks to help explore it all. 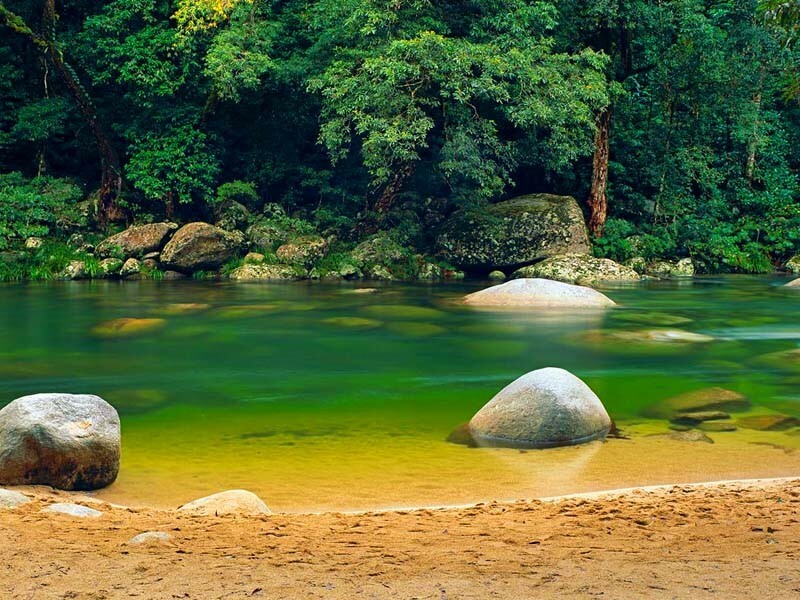 Mossman George is our must-see pick, it boasts suspension bridges, self guided walks, waterfalls, and a beautiful swimming hole with crystal clear water surrounded by luscious rainforest. It’s a true wonder. 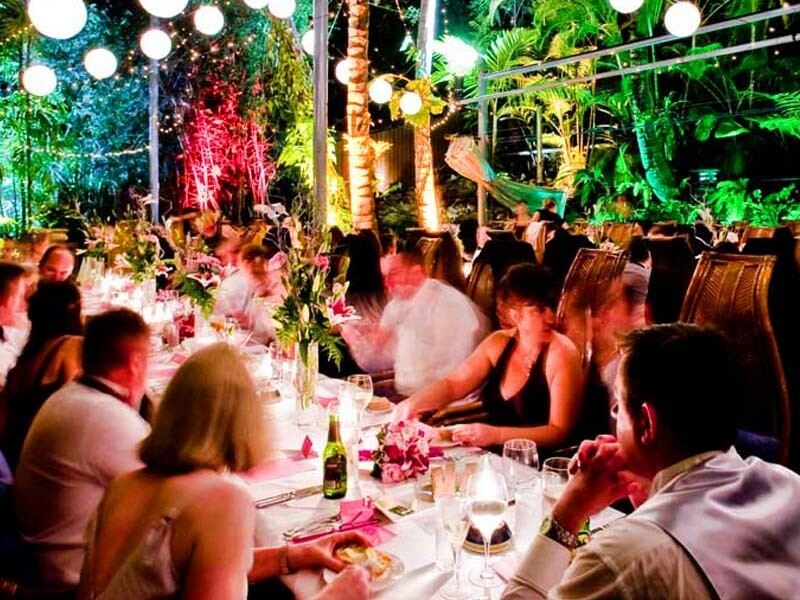 Another element of the Port Douglas appeal is the eclectic dining scene. 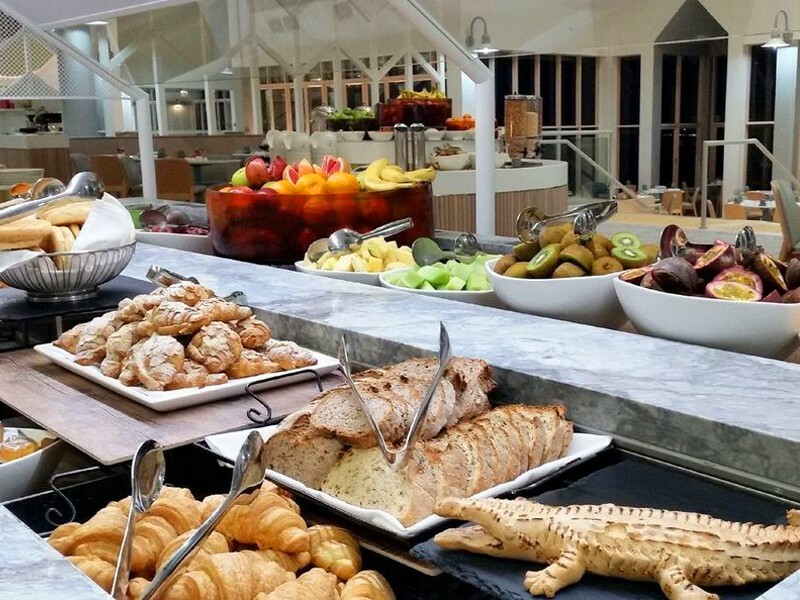 For a relatively sleepy seaside town, there is an impressive myriad of dining options that don’t end at the resort restaurants! Trip Advisor is a great tool to help you narrow your list, but if you’re a ‘let’s see what we find’ type of person, then you should jump on a free shuttle and start your journey on Macrossan Street in the heart of town. For fine dining you cannot look past Watergate Restaurant and Nautilus Restaurants, with the former on Macrossan street, the experience starts by walking down a flame lit path before you reach an indoor / outdoor setting. Nautilus is another incredible experience with a unique setting in the tree tops offering a pairing of amazing service and fantastic cuisine. Café style dining is covered ten-fold but our favourites are Café Fresq and Little Larder, both have delightful coffee, know how to cook a mushroom, and have excellent breakfast menus. Salsa Bar and Grill and On The Inlet also deserve honourable mentions for an excellent dining experience on a Port Douglas holiday. A holiday that has everything from luxury accommodation to natural wonders that impress even the most avid of traveller to a dining scene that leaves nothing to want for, this escape has something for every kind of family or couple. 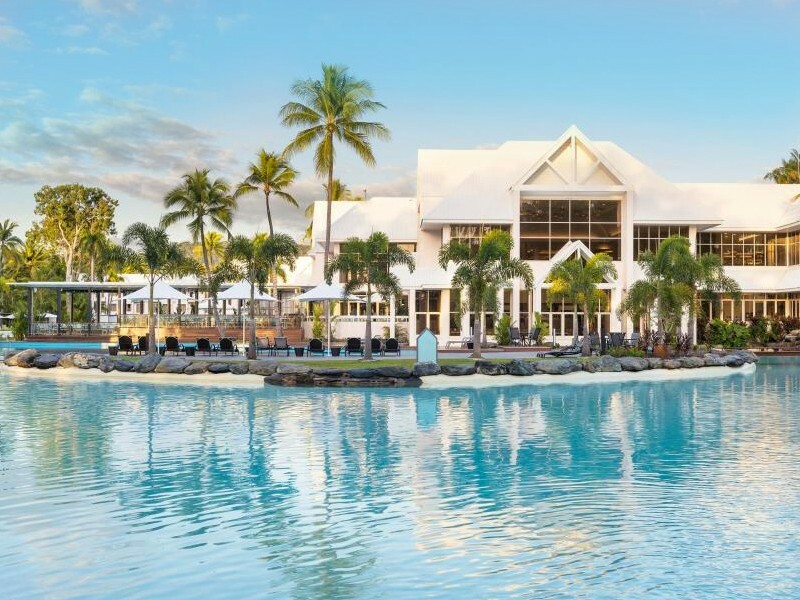 Once you have delved into the beauty of the Sheraton Grand Mirage Port Douglas, the love affair will begin immediately and see you returning year after year to create amazing holiday memories that last a lifetime. Call us now on 1300 788 553 to chat about your next escape!